Below is only a small cross-section of many case summaries where investigators have concluded that inadequate control of Hazardous Energy was the major cause of a fatality. Reviewing the summaries below provides a clear and strong case for why employers must implement, maintain and enforce a Lockout/Tagout Compliance program. It also illustrates the need for proper employee awareness and training in the field of Hazardous Energy control. train production workers and other non-maintenance workers to recognize potential workplace hazards and participate actively in workplace safety. On January 17, 2006, a 52-year-old millwright (the victim) was fatally injured when he was pinned between the feed rolls of a debarker as he was welding additional metal to the teeth on the feed rolls. The victim had locked out two electrical disconnects in the debarking room before beginning his work, but he had not locked out all electrical disconnects and had not shut off and locked out the air line to the machine. As the victim welded, he leaned forward and placed his head between the upper and lower feed rolls to reach areas that required more metal. The air pressure on the rolls automatically cycled and the feed rolls closed over the victim’s head. The victim had been working alone. His supervisor had left the area to check on another machine. When the supervisor returned to the area about 20 to 30 minutes after he had last seen the victim, he found that the victim had been caught in the machine. The supervisor called on the company radio for help and for someone to call 911. He then turned off the air line. When he returned, he and other employees used a chain jack, commonly referred to as a “come-along,” to lift the upper feed roll off of the victim. They removed him from the machine and placed him on the floor next to the machine. Emergency medical services (EMS) personnel arrived approximately 20 minutes after receiving the 911 call and attempted to do cardiopulmonary resuscitation but to no effect. They called the coroner who came to the site and pronounced the victim dead. Ensure that hazardous energy control safety procedures clearly identify all potential sources of energy for each machine and that the location and the method for control is clearly identified. Workers should be routinely trained on the procedures. Ensure that all hazardous energy, including pneumatic energy, is locked out, and any stored energy is released before repair work begins. Follow the equipment manufacturers’ recommendations for removal, maintenance, repair, and/or replacement of machine parts. Ensure that employees are adequately trained and supervised when assigned to perform new, infrequent, or dangerous tasks. Contact the equipment manufacturer for assistance in redesigning machine systems to reduce the number of lockouts needed to render the equipment safe for repair and maintenance. A 52-year-old, male computer support technician (the victim), at a communications company died after being crushed in a stationary trash compactor. The victim had gone to the company loading dock to look for a computer shipping box which had been mistakenly thrown into the trash compactor. He turned on the compactor using the key located in the switch. The compactor started its normal cycle and the ram inside the charging chamber raised to the up position. While the ram was at the top of its stroke, he leaned over the compactor's loading sill to look inside the machine. The ram moved down to complete its cycle, struck him on the back and crushed him against the loading sill. A co-worker who was nearby heard the victim groan, went to the compactor and found him. With the assistance of another co-worker, the victim was lifted out of the compactor while another co-worker called 911. The incident occurred at 10:00 a.m. EMS personnel arrived within minutes and found the victim was dead from his injuries. establish an operating policy for trash compactors that includes training in safe operating procedures, identification of authorized operators, and measures to prevent unauthorized operation. ensure that the machines are properly equipped, inspected regularly, and maintained according to ANSI Z245.2 - Stationary Compactors Safety Requirements. Ensure employees stay within their assigned scope of work. Ensure machine operators follow company policy and implement the lockout/tagout procedure when applicable. A 44-year-old Maintenance mechanic died as a result of injuries sustained when he was crushed in an angle iron processing machine. He had been performing maintenance on the machine and was tightening some bolts when the incident occurred. He was lying on a concrete floor between the main body of the machine and a moving carriage while tightening the bolts. The moving carriage crushed him between the main body of the machine and the carriage. The machine was not locked/tagged out prior to the task being performed at the time of the incident. Employers and employees must ensure that lockout/tagout procedures are followed at all times. Employers must ensure all machines have adequate machine guards installed. Employers should consider installing sensors (light, pressure, motion or floor) on automated machinery with the potential for causing serious injury or death. Employers should consider implementing a spot inspection program to ensure all employees are complying with safety requirements and enforce consequences for noncompliance. conduct a safety hazard analysis of all work locations in all plants, and implement corrective action where necessary. A 36-year-old male paper factory worker (the victim) died from crushing injuries after being caught by the ram inside a 2-stage horizontal baling machine. The victim, working alone in the warehouse area of a paper plant, was compacting waste paper when at some point in the compacting process he entered (either intentionally or advertently) the compression chamber and was caught by the machine's hydraulic ram. The victim was discovered by a coworker, who notified the plant manager to call police and emergency medical services (EMS). Both a fire department rescue squad and EMS arrived at the site. They extracted the victim from the baler. The victim was pronounced dead at the site by the medical examiner. Subsequent examination by investigators revealed that the baling machine was not shut off and locked out and that the safety interlock on the compression chamber door may have malfunctioned, allowing the machine to operate with the door in the open position. On July 4, 2003, a 36-year-old male lead electrician died after being electrocuted with 480 volts of electricity. A crew of five licensed electricians were working at an automotive supply manufacturing facility running wires to connect service for two air conditioning units (3-phase; 480 volts; 30 amp and 35 amp) and service for a lighting panel (3-phase; 277/480 volts and 200 amps). The manufacturing facility had been shut down for the holiday, and besides a facilities office worker in the facilities main office, the five men were the only workers at the site and had complete control of the facility utilities (they were the only ones who had the ability to turn on/off utilities at the facility). Normally, everyone who was working directly with wiring or who could come in contact with live electric wires would place their lock and tag on the appropriate breaker or other control device to guard against unexpected energy being released. This time, it was decided by the crew only the job foreman would use his Lockout/Tagout equipment on the breakers. 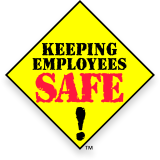 Employees should always follow company lockout/tagout procedures. Communication between workers should be clear and precise. Ensure employees follow lockout/tagout procedures when servicing a machine. Ensure employees do not place any part of their bodies into areas where they might become entangled with machinery when it is running. Ensure all machines are properly guarded to protect employees from moving parts. develop and implement formal lockout/tagout programs which include an energy control procedure. install interlocks on the hatches of such tanks to prevent startup during maintenance. place caution signs to warn employees of the potential hazard of entering such tanks without proper lockout/tagout. develop training programs that address lockout/tagout, energy control, interlocks and caution signs. Ensure that the lockout / tagout procedure is implemented whenever maintenance or repairs are being performed on pallet stacking machines. Ensure apprentice mechanics are trained on machine operation and safety prior to hands-on work. On March 9, 1998, a 24-year-old night-shift foreman (the victim) died of injuries when he fell approximately 13-15 feet from a piece of equipment known as a "hay de-stacker". The victim had been trying to clear a "jammed" hay bale on top of the de-stacker when he was pinned in the machine's sweep arm mechanism. After some effort, his fellow employees released him from the machine, but the hay bales that he had been standing on collapsed and he fell head first, landing on the steel decking of the bale staging platform. Emergency medical persons responded and transported the victim to an area hospital, where he later died from head injuries suffered in the fall. A Lockout/Tagout program should be instituted to protect employees from hazardous energy when working on machines, equipment or processes. Anytime an individual has a need to work on a piece of machinery or equipment, then that piece of machinery or equipment must be shut down, turned off and locked out. Employers should provide training and education related to the hazards of energized equipment, provide an understanding of the equipment safeguards and the basics of lockout/tagout. Routine audits/inspections should be performed on the facility's "Energy Control Program / Lockout-Tagout Program". When new, used or reconditioned equipment is introduced to the work place, a review of safety precautions should be conducted in conjunction with the equipment manufacturer. The review should include any and all regulatory compliance parameters that apply to the equipment and the operation of the equipment. Safe access should be provided, such as ladders, platforms, etc. with appropriate fall prevention/fall protection measures, to allow operators to effectively deal with equipment/machine issues. Ensure that employees follow proper lockout tagout procedures on machinery before performing any repair, maintenance, or adjustments. Ensure that the employer conducts annual or more frequent inspections of the energy control procedures. Ensure that all controls are placed at the off position when adjustments and repairs are started on cranes. Ensure that warnings or “out of order” signs are placed on the cranes as well as on the floor beneath or on the hood where they are visible from the floor. Two employees of a commercial steam heat supplier died of injuries they sustained when a steam line they were repairing was re-Energized. The day before the incident, the two victims and a coworker went to an underground vault to investigate a steam leak. They suspected that the leak was from a flange in a steam line that served as an interconnect line between two steam generation facilities. The next morning, they told the facility 1 operator that they were going to facility 2 to shut down the leaking steam line before repairing it. At facility 2 they closed two control valves to isolate the leak in vault A. They did not Lockout and Tagout either of the control valves. After closing the valves, they drove to the site of the leak and began to mechanically ventilate the vault. While the vault was being ventilated, they went to vault B and closed a second isolation valve. They returned to the site of the leak (vault A) and entered the vault after the steam was cleared from it. They confirmed that the leak was due to a defective flange gasket and disassembled the steam line flange. The repair task was slowed for several hours since the workers initially did not have the correct size wrenches for the flange bolts. They were also delayed when the disassembled line became misaligned as it cooled. Because of the delays and the need for alignment pins to reassemble the line, the workers stopped for lunch and returned in the afternoon to finish the repair. employers should ensure that when more than one employee is exposed to hazardous energy, a procedure is in place for group lockout/tagout. Enforce a comprehensive lockout/tag out program and constantly review and update the program and training. Ensure that new safety devices are installed properly and are effective before implementing them. Obtain information from the die cast machine manufacturer on the proper way to controlling hazardous energy when purchasing a used or remanufactured machine. Ensure employees follow the proper lockout/tagout procedures on machinery before performing any repair, maintenance, connection, or adjustments. Ensure employee safety by installing guards around the moving parts and pinch points of the machine to protect employees from accidental contact. Manufacturers should design and employers should retrofit machinery so that a worker can remotely turn parts of a machine on or off while the machine is operating. Ensure that workers follow established lockout/tagout procedures for control of hazardous energy when working on electrical circuits.